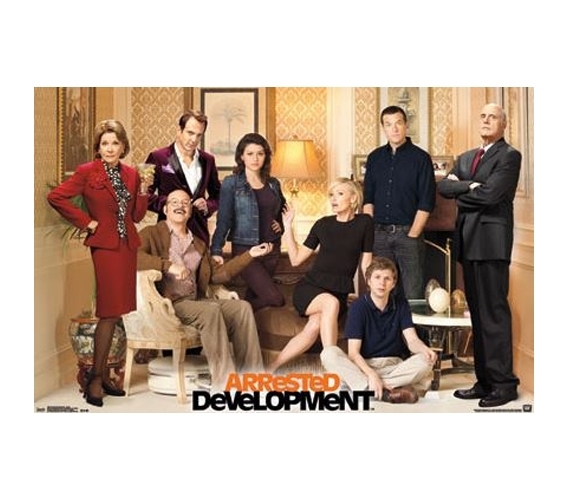 If the antics of Arrested Development kept you glued to the screen, then this Arrested Development - Group Poster will be a fun dorm item to add to your college supplies. The best dorm posters and fun items for college and can even invoke some emotion! Posters for dorms are staple dorm products, but ones that you really like might conjure up some memories or laughs from a favorite show. That might be the case with this Arrested Development poster, meaning it'll be a dorm necessity for you. So curl up on your college futon, or atop your twin XL bedding, and watch a few episodes of Arrested Development while this poster serves as the focus of your dorm wall decorations.